Borders online bookstore leaks 2012 Boss 302 production numbers? For the 2012 model year, Ford is at long last reviving the most revered of all Mustang models. The Boss is back. 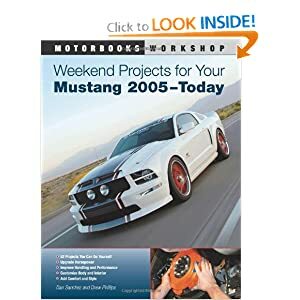 As with the first iteration, the new Boss Mustang will be built for two model years only, and just 4,000 cars will be produced each year: 3,500 street cars and 500 “R” race cars. If this is to believed, only 8000 Boss 302 Mustangs will be built for 2012 and 2013, 1000 of those being “R” models. No details are given about what the “R” model is, but it’s safe to assume that the Laguna Seca Package will be the “R” model for 2012, with perhaps another version coming the next year.